Stag party on the Danube! Give yourself the gift of an extraordinary experience and use the opportunity to rent a speedboat in Bratislava together with your family and friends. 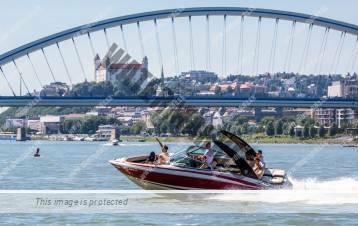 Speedboats rentals in Bratislava with experienced captain will guarantee you a comfortable and interesting journey full of great adventures. Take a seat, make yourself comfortable and enjoy the remarkable panorama of Bratislava and the beautiful nature surrounding the river Danube together with your family and friends.